2. The Funky Bunch - The Message [Progress Records] "the message im sending"
11. 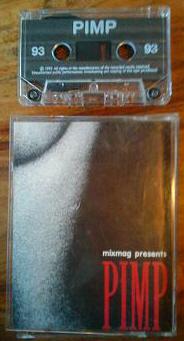 Direckt - Two Fatt Guitars (Babetastic Mix) "do it man"
20. Direckt - Two Fatt Guitars (Skankin Mix) chic "gimme another tune & ill rock 2 da beat"
this tape came as a double pack with Graeme Park @ Pimp 1st Birthday 29-10-93 as the other tape.